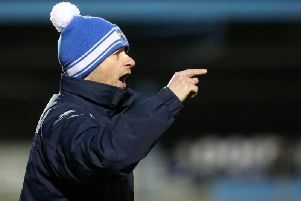 Ballymena United manager David Jeffrey is calling on his squad to ignore the pain of the 5-0 scoreline against Odd and transfer the pride and positives into continued domestic progress. Two goals in the final nine minutes left Odd with a comfortable passage but Jeffrey’s focus quickly turned to utilising the brief summer experience for sustained development. “I thought our discipline, shape and concentration were all first class,” said Jeffrey after the European exit at the first hurdle on the club’s return to the continental stage following a 13-year gap. “It’s all about learning and they will want to bank the whole experience. “They will want to use the reward of this during those cold, dark days in January as motivation to be back in Europe. “We are a season or two further down our road but it’s important we continue that progress. “I’ve to give a special mention to the Ballymena fans as they turned out in great numbers. “The overall experience has been nothing but positive for the players, supporters and club. An own goal by Leroy Millar on 77 minutes broke the deadlock - and pushed Odd clear overall by a four-goal margin - as he attempted to clear John Kitelano’s corner-kick. Two Odd substitutes then combined to wrap up the tie and increase the advantage despite Ballymena’s spirited performance. Sigurd Haugen, the scorer of the final first-leg goal, capped affairs at Seaview by slotting home Riku Riski’s square pass on 88 minutes. United handed club debuts to Emmet Friars and Andrew Burns, with the former’s early slip presenting an opening to Olivier Occean but Ross Glendinning blocked the shot with his knee. Kevin Braniff fired a low drive towards the near post in response and the resultant corner-kick by Tony Kane was attacked with a Johnny Flynn header which Odd blocked in the box. Current Norway international Espen Ruud arrived in Belfast aiming to build on fond memories of the city, having scored for his country in 2012 against Northern Ireland. He came close with a long-range free-kick drive but Glendinning managed to stop at the second attempt. Ruud’s corner-kick was headed over the bar by Fredrik Semb Berge. The energetic John Kitelano carved out a chance with a dangerous cross but Occean failed to gain a clean connection on the loose ball during the penalty-box scramble. BALLYMENA UNITED: Glendinning (Allen, 89), Kane, Friars, Flynn, Gault, Friel (McMurray, 72), Braniff, McCloskey (Lowry, 86), Burns, Millar, McKinney. SUBS: E.Kane, Shevlin, McCullough, Loughran. ODD: Rossbach, Ruud, Broberg (Haugen, 77), Samuelsen, Occean (Agdestein, 81), Nordkvelle, Semb Berge, Oldrup Jensen, Hagen, Kitelano, Diouf (Riski, 62). SUBS: Rosholt Myhra, Bergan, Berg, Mladenovic.